To avoid buyer's remorse ask yourself these five tough questions before making an offer to purchase your next property. Buying real estate is a massive financial commitment for most. It is a decision that brings excitement and fear in one. To work excessive hours all week, year in and year out to fund the property purchase means that the home represents far more than bricks and mortar. Securing the right home can provide decades of enjoyment and comfort. Many buyers who finally secure a property suffer buyer’s remorse though. Buyer’s remorse often arises when a property purchase is rash or ill-thought. A symptom of buyer’s remorse usually involves questioning the wisdom of the purchase. Buyer’s remorse can be alleviated if the tough questions are asked in advance of the property purchase. You may not always like the answers to the five tough questions that follow, but they are best confronted pre-purchase. Asking them post purchase will just cause worry and sleepless nights. Buyer's remorse is an emotional response on the part of a buyer in a sales transaction, which may involve feelings of regret, fear, depression or anxiety. Interest probably won’t rise in the short term. But what if they did? Its crucial that you recognise we are at historically-low interest rates. And yes, they may go lower before they go higher. Given the average time of property ownership is seven years, its fair to expect we will see higher rates at some time in the next seven years. If you budget for higher interest rates that never come, you are well in front. If you budget for a continuation of record-low rates and you get hit with rate increases, the dream home can quickly become the nightmare mortgage. If your finances don’t stack up to well when modeled on rate rises, may be you could consider buying at a more sustainable price point. Fixing your rates at current levels is another recommended strategy to protect against higher rates in the short term. The cliché states ‘buy in gloom, sell in boom’. We are currently in boom conditions, therefore its probable that we will see a correction at some stage. The market may rise further before it corrects, but all markets that shoot up inevitably experience a correction, whether it’s mild or severe. Note that correction is different to crash. Corrections happen with regularity in the property market, where as crashes are catastrophic events such as the US sub-prime crisis. Never believe someone that claims Sydney real estate never goes down. It does and has frequently done so in recent times. Sydney real estate has a terrific history of performing well over the mid to long term. The real estate market is more volatile than most people realise. If you are buying a quality piece of real estate for the long term, you will more than likely come out in front. The primary residence should not be viewed as a tax free investment play. If you buy on this basis, you will find yourself constantly sweating on the market and not fully enjoying the true benefits of home ownership. If you cannot stomach the thought of the market dropping in the time you own the target property, maybe its not the right property or time for you to buy. What if we/I lost our job? Fortunately, we have experienced very low unemployment in the past two decades. As demonstrated with the departure of Holden and Ford, circumstances can change quickly. What is the plan if you do lose your job? Sure, you may get another job, maybe a better paying one. What if you can only get a lower paying job though? These are very confronting questions, but they are best confronted upfront otherwise they can haunt your personal finances. Young couples who purchase can easily fall for one of two common errors. Firstly they expect to receive pay rises in years to come. Secondly, they don’t anticipate/budget that having children may take one income out of the equation. Will the rent cover the mortgage? Home ownership is about security. Owning a home mortgage free is the ultimate security. The reality is that not everyone will reach this phase in life before they begin downsizing. There is an interim financially secure level that everyone should aspire to and one that can be attained. Getting to the point where the rental value of the property covers the mortgage will offer surprising comfort. Knowing that the property can service its debt means that you will never have to sell and meet the market conditions of the day. If living in the property becomes unaffordable due to change of circumstance etc. you can decide to sell or rent. The key words being: ‘you can decide’. If the mortgage is well in excess of rental value of your property, you will most certainly need to sell it if you face unfortunate events such as job loss or increased interest rates. Before buying, find out the market rental value of your target property. It’s crucial information. What is current market price? Knowing market value and paying above market value is fine, so long as you are conscious of the decision you are making. Many people happily pay above fundamental market value each week to secure their dream home. They know that they will make it up in the long run in any case. Once you have consciously established market price, then you decide what you will offer in relation to it. Some buyers will only buy a property if they feel that they are getting it at or below market price. Questioning whether you did or didn’t overpay as you show family and friends around at the house warming will only end in buyer’s remorse. Once you have asked the tough questions of your purchase, then it’s time to enjoy your home. Peter O'Malley is the author of the book Real Estate Uncovered which was released in 2013. The book has been written for real estate consumers offering an insight and guide to the inside traps and tactics of the real estate industry. Peter has worked in real estate since 1997 and offers a unique insight into the inner workings of the industry. 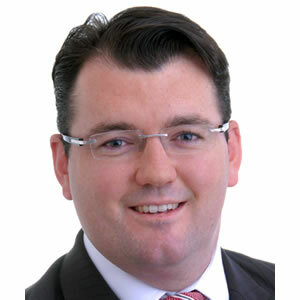 He is based at Harris Partners Real Estate in Sydney's inner west suburb of Balmain. Many investors, homeowners and buyers both succeed and fail when transacting in the real estate market. The lessons learned by him have been nicely packaged in Real Estate Uncovered.